Hey, I did not come up with that phrase; I think it is an oxymoron. Whatever the case, many countries on the planet’s telephone companies are evolving faster than the USA or Europe. They are no longer running telephone lines to houses, they install wireless phones. This is a phone, looks normal, however, there is no wire or line going to the wall, there is just a small antenna. This is present generation, what I see as cutting edge, it has been around for years. I am not sure they use it in the USA yet. 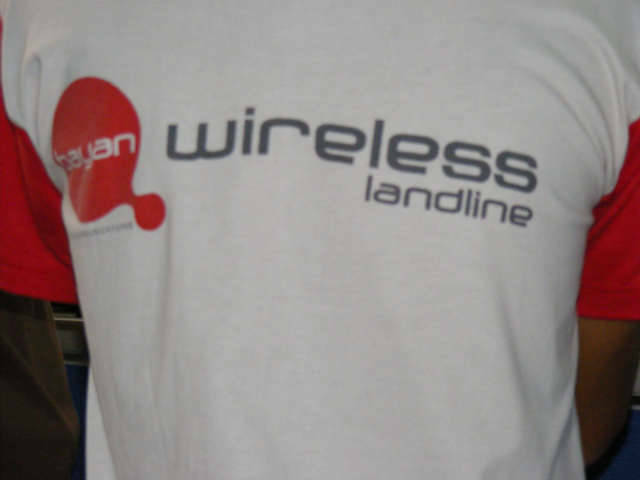 Now the name, this is the shirt of the man installing this wireless telephone system in a business in Quezon City, Philippines. The word to line to me means cable, and the land means a line or cable on the land, yet this is called Wireless Landline. 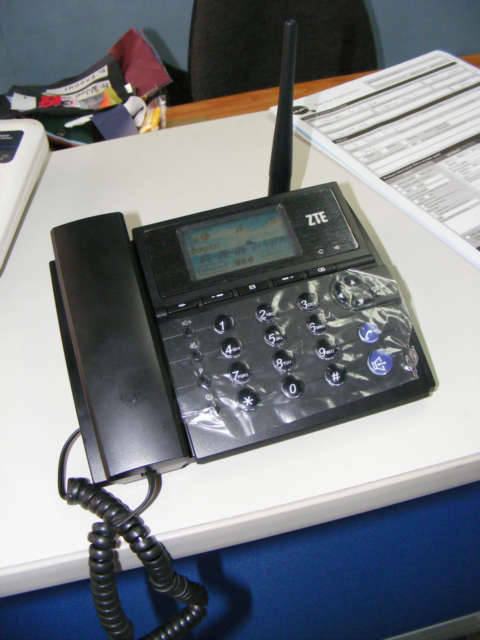 Are the Philippines and many countries telephone systems evolving faster than the USA or Europe? My answer would be yes, because necessity is the mother of invention. 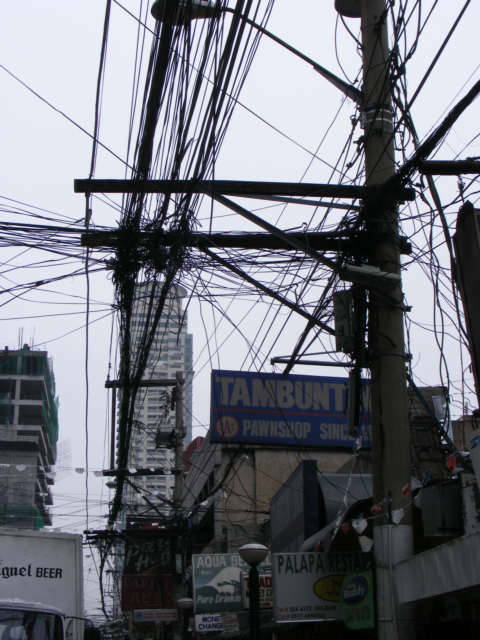 This is a photo of wires in Manila, who cares whether they are cable, electricity, or telephone, this is SOP, standard operating procedure in the Philippines and half the planet. I guess they see installing wires as tedious, so instead of doing it corrects, they just run another one. I also think they are paid by the length of wire, so the more the merrier. Whatever the case, the mobile phone industry is questionable has better features, cheaper, and more competitive pricing. They never ran lines and now they are just skipping the landline step of telephones all over the planet and installing Cell towers.